A slightly different twist on my now familiar artwork anti-scam. I manage to secure two pieces of artwork, but unfortunately due to the temperature and humidity fluctuations between here and West Africa, as well as rogue rodents, there are problems. 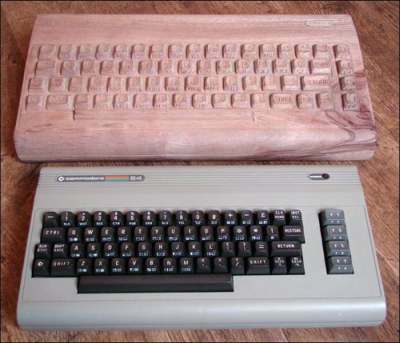 I want a C64 carving! 419 me Nigeria!